The SEGA Fes event has begun with a couple of big Switch-related announcements. 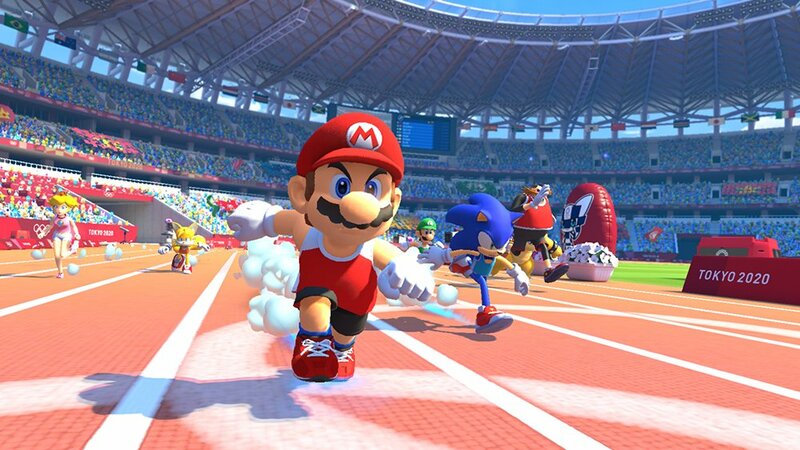 Mario & Sonic At The Tokyo Olympics has been announced for the Nintendo Switch. The game will be coming to the console this winter. However, if you want a more serious game, SEGA has you covered. Tokyo 2020 Olympics: The Official Game is also coming to the Switch this summer. Screenshots of both games can be seen in a gallery down below. First they need to fix the big mistake of the last M&SatO game, which was limiting characters to events unless they were Mario or Sonic or Mii who could play any of them (for example, Silver the Hedgehog was only playable in- I believe- gymnastics and cycling). Yes I know that’s more work but it doesn’t give the roster justice to only make most characters exclusive to one or two events when previous games made them available in everything. But more importantly, when are Mario and Sonic going to get a REAL crossover!? Why must these two gaming casts appear together in only the Olympics? I don’t count that as only Sonic is on the roster. Make Rouge the bat a fully playable character and then stop. Hold the phone. Is sonic wearing different shoes and a sport shirt? is there a actually trailer for the game? oh i know i just saw it. Oh thanks and i just found it already.